Industrial strength high concentrate formula with extra water soluble solvents for grease removal. Pre-test for colour fastness and apply to all heavily soiled and greasy areas of carpet prior to extraction cleaning. Turquoise green liquid with mint fragrance. 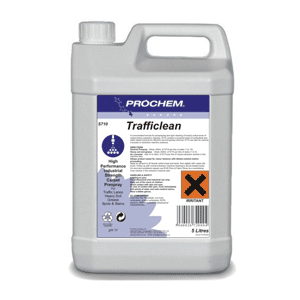 Designed for use in the commercial cleaning industry. Sold in 5 litres.